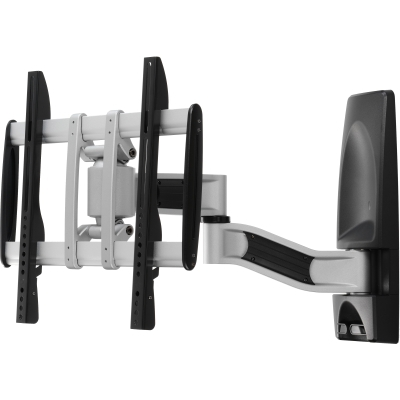 The HG Articulating Flat Panel Wall Mount gives you unmatched ease and range of positioning with "set and forget" adjustments. One handed tilt, pan, and swivel with no buttons, knobs, levers, or switches. Fine tune adjustable universal mount built in provides a comprehensive array of adjustments. 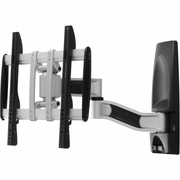 Extending up to 22" from the wall, the wall mounts provide ample space for a full range of easy positioning.